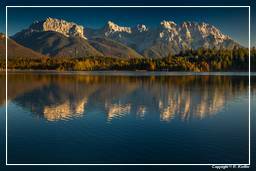 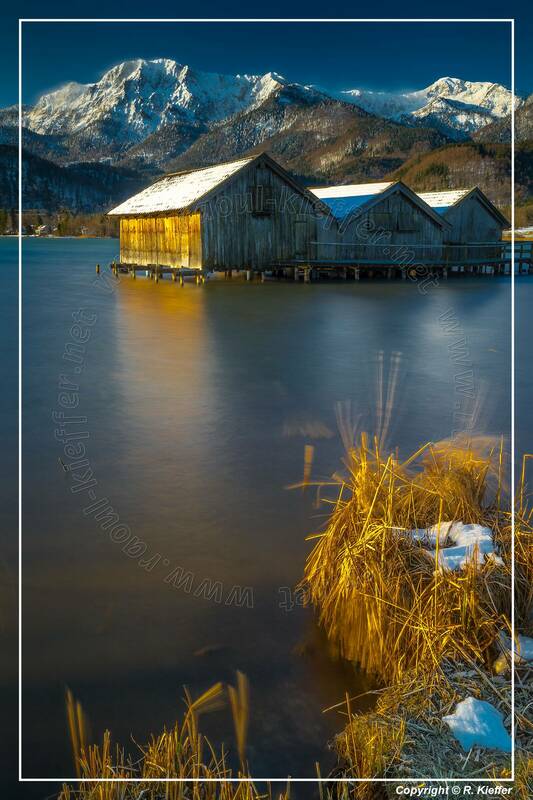 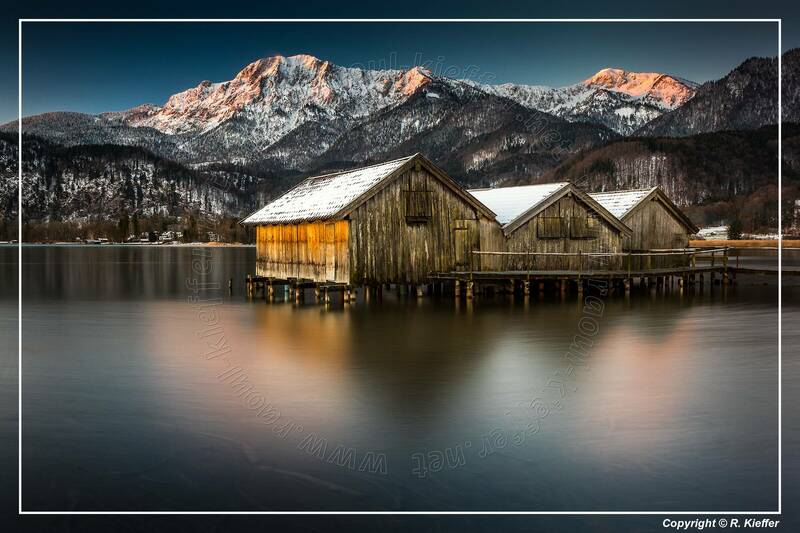 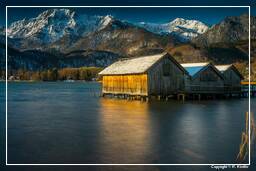 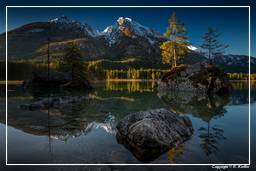 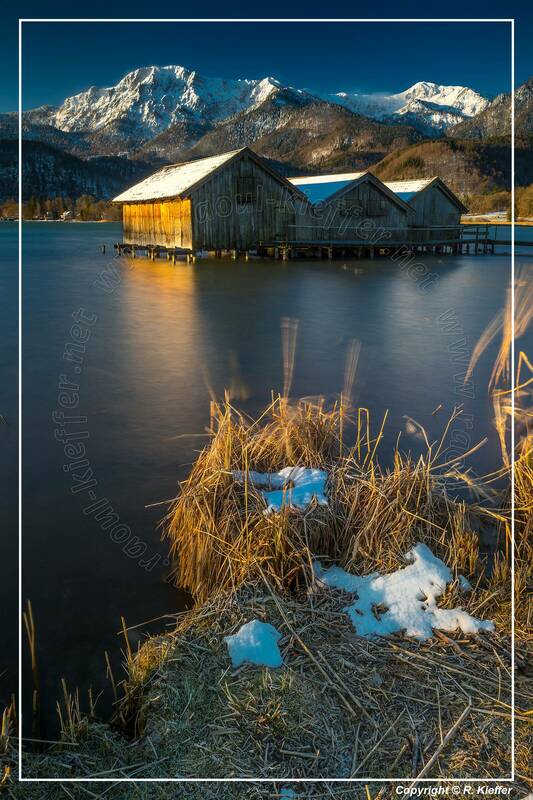 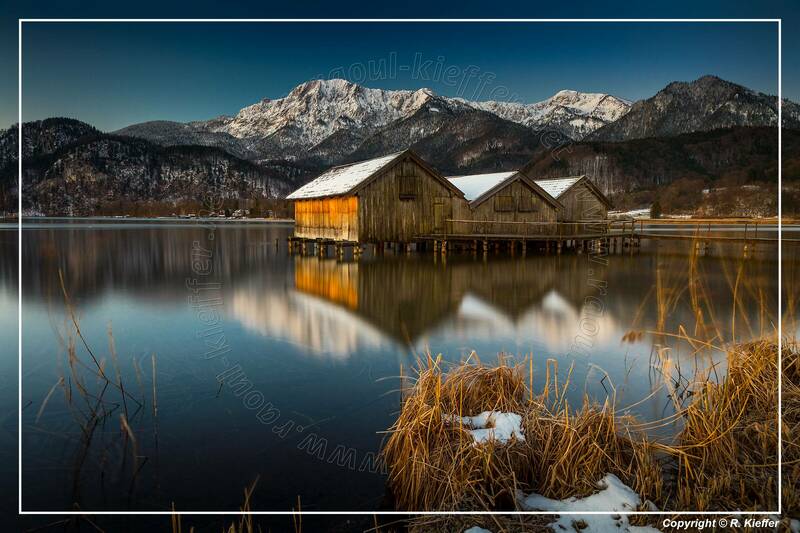 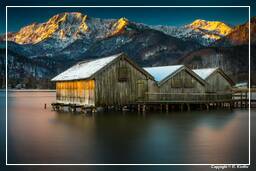 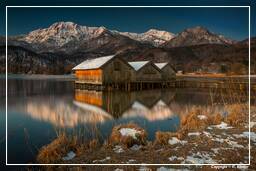 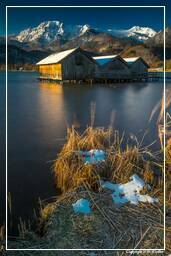 The Kochelsee (Lake Kochel) is located 70 km south of Munich on the edge of the Bavarian Alps. 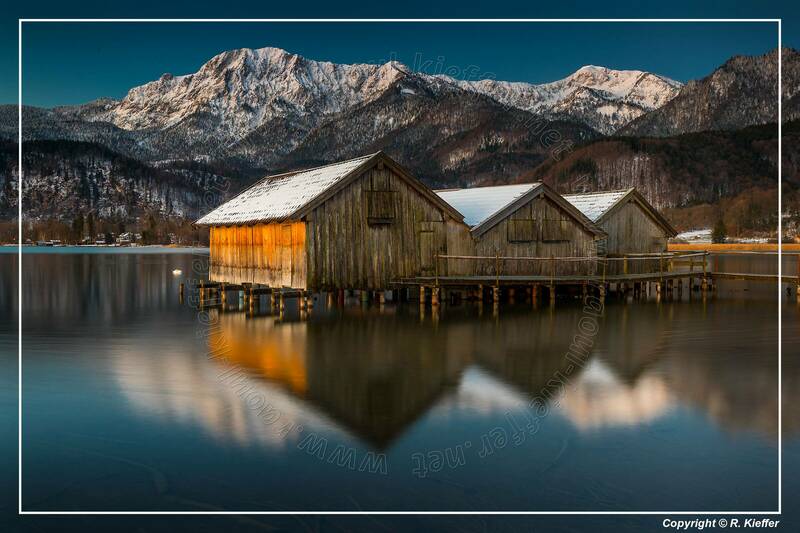 It belongs to the communities Schlehdorf in the west and Kochel am See in the east. While the southern part of the lake is surrounded by mountains, the northern part is already in the flat Alpine foothills and is bounded by the Loisach-Kochelsee moors. 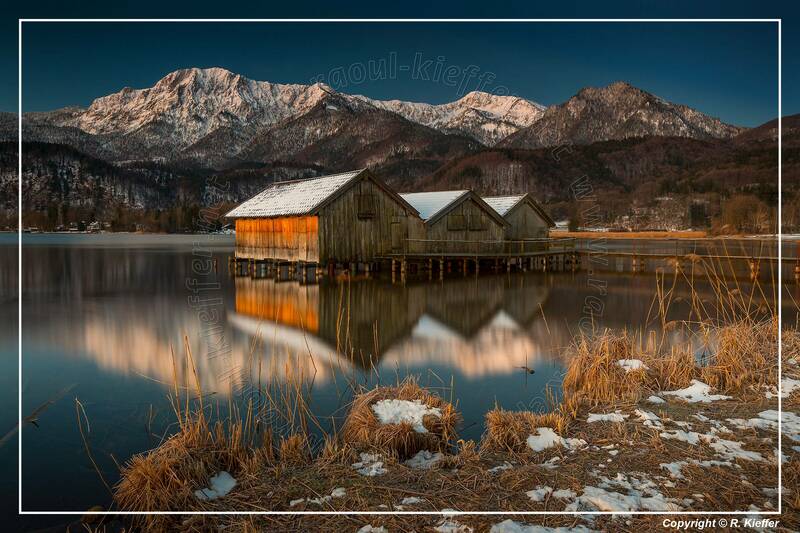 The history of the settlement Kochels (formerly Quochcalun) began on the so-called Birg at Altjoch, a rocky extrusion directly on the shores of Lake Kochel. 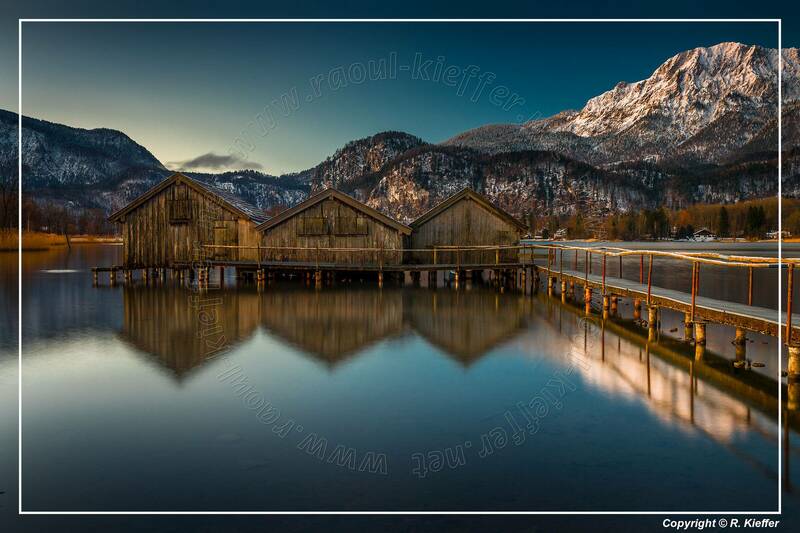 The name Kochel is derived from the Latin cocula, the name for head, cone or summit. The lake was created in the Würm glaciation by the erosion of the Isar-Loisach glacier. 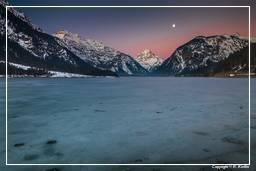 The subsoil of the resulting basin was then filled by sea clays of a glacial lake, which formed a containment ground. 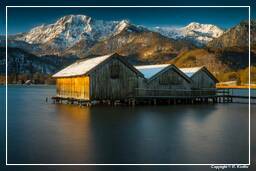 Today’s Kochelsee is only a remnant of the original reaching up to Penzberg with about 200 m deep basin in the area of the flysch zone. The lake gradually silted up, so that north of it the Loisach-Kochelsee-Moore formed with low and high moors. 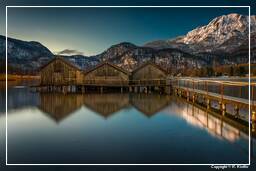 At Schlehdorf, north of Herzogstand (1,731 m) and Heimgarten (1,790 m), the Loisach flows into the western part of the Kochelsee. It leaves the lake on its northern edge, west of Kochel am See.